Next weekend is the Underground Music Showcase. The streets of South Broadway will be flooded with people and bands. The Baker neighborhood will be bursting at the seams with house parties to accommodate the overflow. We covered this a few weeks back. 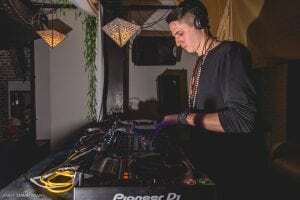 I recently got the chance to interview one of the artists playing the showcase and I thought it might be a good warm up for next week’s mayhem. Jon Medina is a super talented and dedicated DJ based in our very own Denver. You can catch him regularly at local venues like Vinyl and Bar Standard. He was kind enough to sit down with me to talk about his upcoming UMS performance. How would you describe your music to newcomers? So, my girlfriend and I came up with a tag line for it because I would always go off on a tangent, but we call it dreamy Afro-Latin tech. It’s house and techno, but there’s a very heavy dreamy melodic vibe to it. So, lots of melodic synth and ambient sounds going on with the driving beats and heavier bass. I grew up playing percussion, so lots of Latin and African influences throughout. I kinda bring in some Eastern influence too every once in a while. Who are some other artists that you get some inspiration from? I love Latin and African percussion, I’m always listening to world music finding little snippets to pull in. I love Nils Frahm, he’s a classical pianist, and then everyone that’s on that label, Erased Tapes. Also, lots of funky, groovy house music. The All Day I Dream crew, especially DJ Yoku. 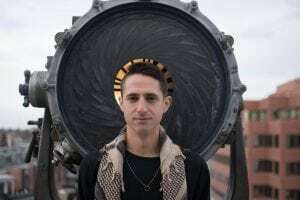 He has a nice dreamy melodic feel but can keep it grounded and not too spacey, and he brings in a lot of funky bass lines and percussion. The curveball is I love bluegrass and folk music, I like a lot of the chord progressions they use. I can pretty much get into anything as long as it’s made well. How did you get into UMS? I’ve been playing in Denver for a long time and I’ve had the opportunity to play a few other places in the U.S., I’ve been coming along making the music thing happen for the last three or four years. I played some shows at Vinyl and kind of randomly got asked to play it. My buddy Andy, who’s actually playing right after me, just called and said he had to send me a contract. It was kind of out of the blue. Where is your set going to be? It’s at the Irish Rover. It’s a pretty cool spot. They have a rooftop patio where everything is going to be set up. 6:00 on Saturday. A small crew of us have been getting booked for a lot of gigs together at different clubs and festivals. We’ve all been working really hard. There’s five of us playing back to back that night so it should be pretty sweet. There’s going to be people constantly dropping in and a rooftop party is always fun. Any news on prospective renegade shows? I heard about some renegade parties in the Baker neighborhood. I think it’s cool that it’s spawned some rebellion against the festival. If some people want to have house shows and do their own thing then that’s fine. I’m really grateful for the opportunity to play UMS though. It’s really great exposure to a broader audience. Tickets for UMS are on sale now, you won’t want to miss out next weekend. If you’re into dreamy Afro-Latin tech, or think you might be, stop by and check out Jon Medina at the Irish Rover Saturday at 6:00. 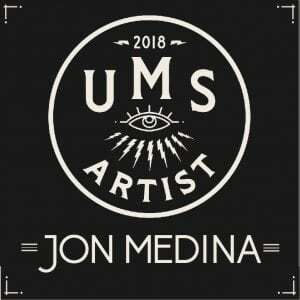 You can preview some of his music at https://soundcloud.com/jon-medina-1.